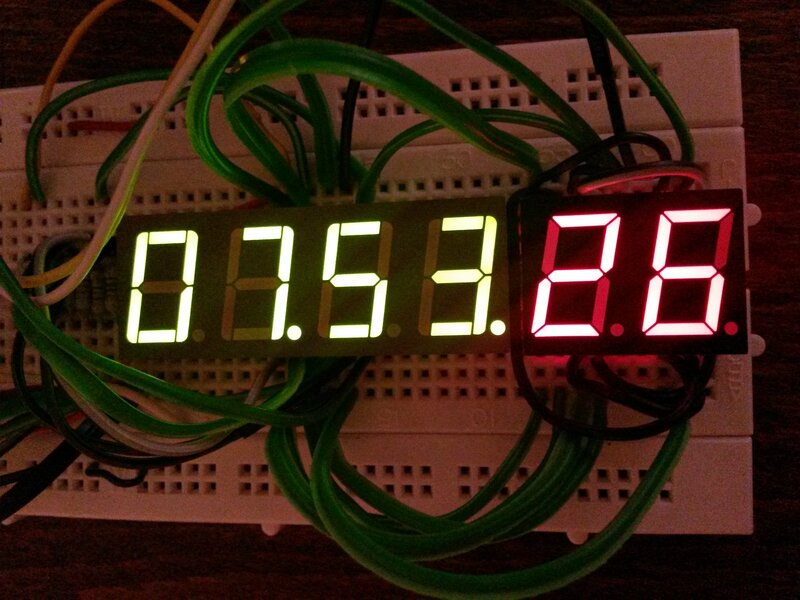 Experiments with AVR Atmel ATmega8 led me to an idea of building my own DIY digital clock. 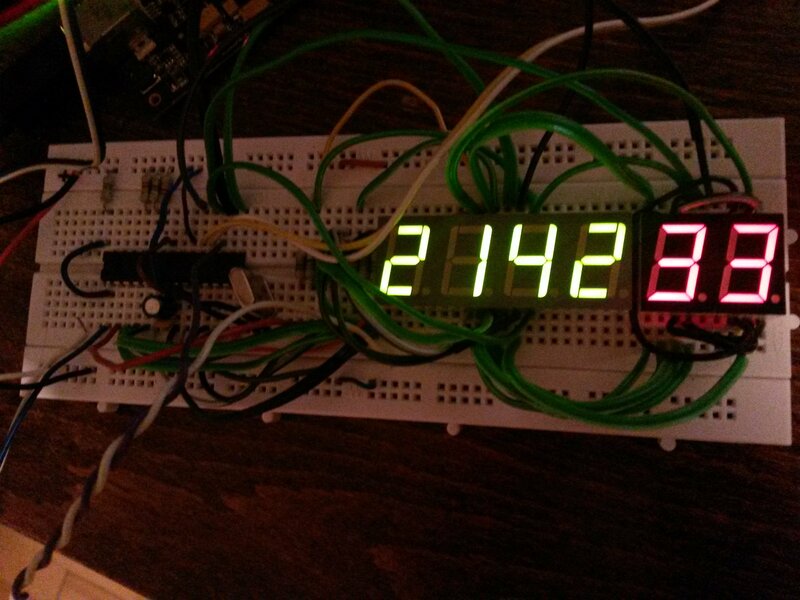 I had more 7-segment displays laying around so why not try something with them. 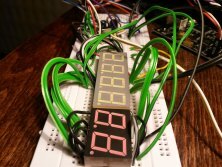 There are many guides and tutorials to creating a clock to choose from. 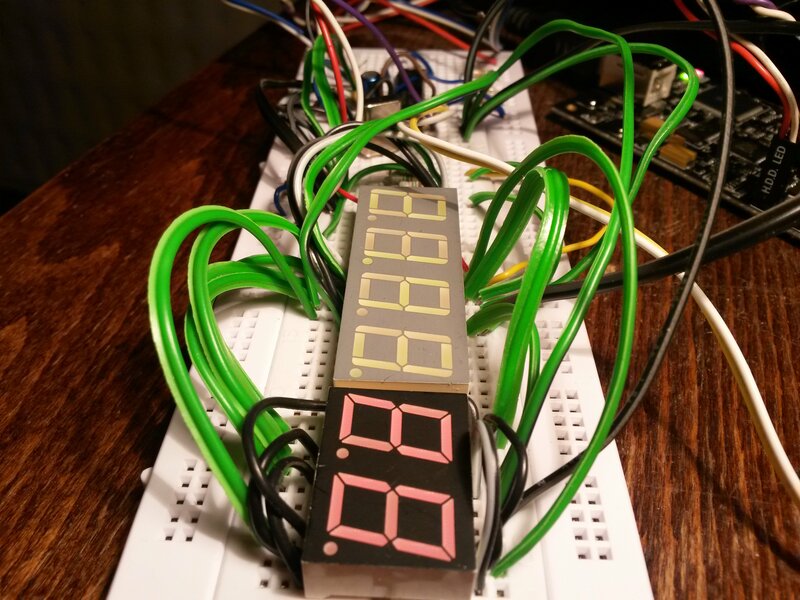 I found some easy clock on page daqq.eu and the schematic and program seemed simple enough to me. 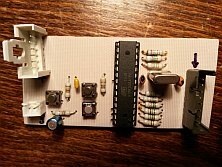 The only problem was with the crystal because it required a special frequency and I didn't have it. However, I had many other crystals so I began studying if any of them could be used instead. I found out that it's not so simple and the frequency of crystal has its meaning. This page describes TIMERs in AVR for beginners and it was very useful for my learning. 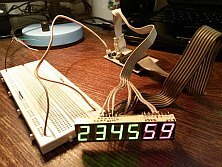 I have customized the original schematic for 6 displays (seconds are a must), drastically edited C program and reworked clock setup with 3 buttons to speed up the clock. // is some of the buttons pressed? Download package contains program in HEX file, source code (solution for Atmel Studio), schematic and partlist. 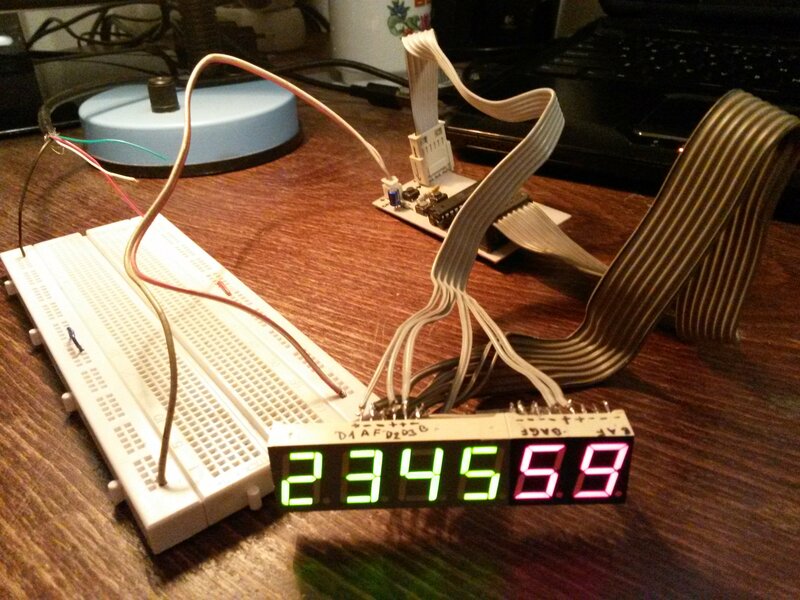 If you decide to build this clock and run into issues, drop me a line and I will help if I can. 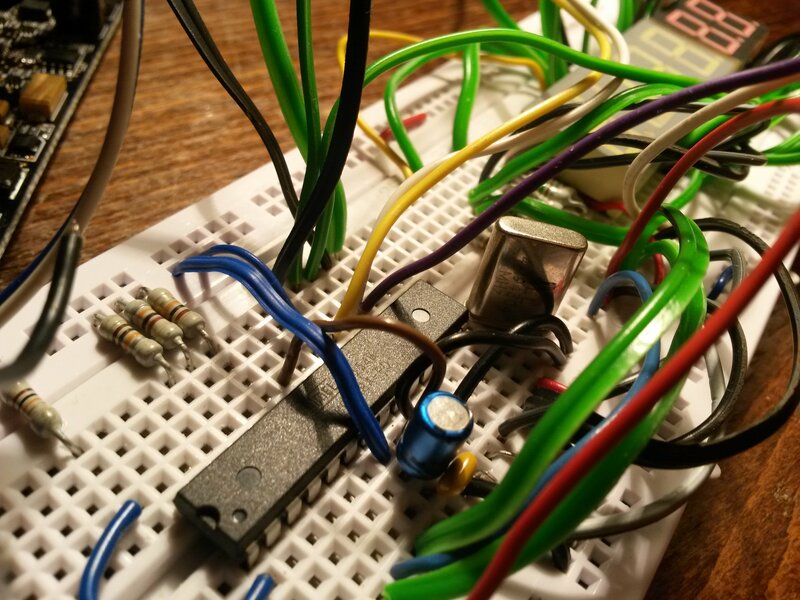 Well, this project is not really simple to port to Arduino. 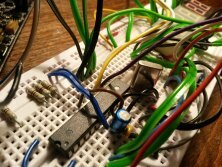 The code is pure C, not the Arduino clone or how to call it. 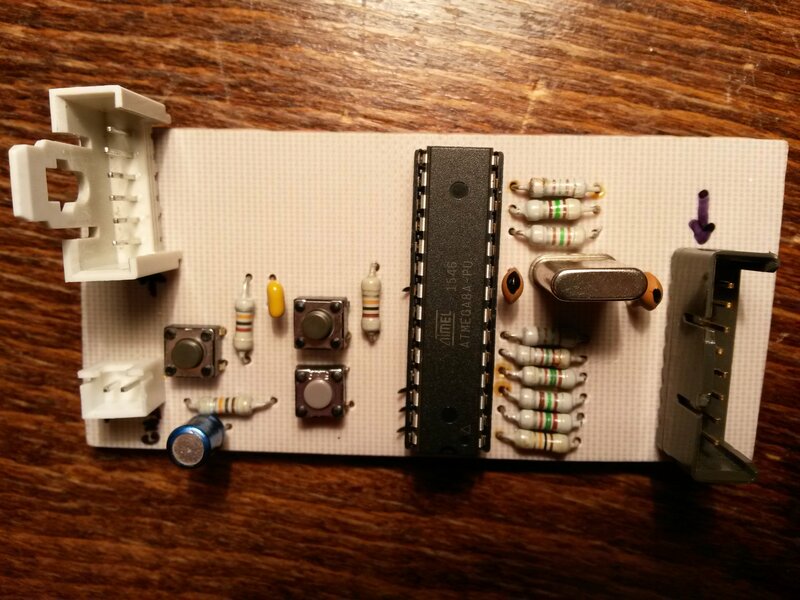 Also, you already have a crystal on-board of Arduino and this is one with frequency not easily divisible by 60. 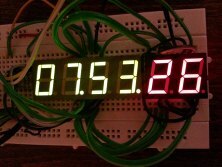 I suggest you start from scratch or search for Arduino clock that can be used directly.